In midst of doldrums at GoPro, the company’s shares have jumped as much as 8.8%. The reason is said to be the recent reports of Xiaomi acquiring the action camera maker. At a time, GoPro was valued at more than $10 billion. Then their market capitalisation fell to about $761 million. During that period, the company had found it difficult to retain their shareholders. To boost revenues, GoPro had to lay off 20% employees in its drone business. 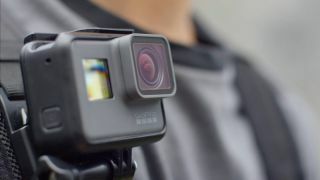 According to a report by The Information, citing a source in direct knowledge of the development, Xiaomi has considered the offer to pay $1 billion to acquire GoPro. The camera maker is currently has a market capitalisation of $700 million. The report also suggests that Xiaomi doesn’t want to overpay and is still considering, which means that the deal is in its early stage as of now. Also, we must note that Xiaomi already competes against the GoPro Hero series with its Yi action cameras. Furthermore, a Bloomberg report also suggests that Nick Woodman, CEO GoPro has said they are open to a deal. We cannot deny the fact that GoPro has made a reputation of being the synonym when it comes to action cameras. And it is only fair to leverage that reputation and hold out for a good deal. As of now, neither GoPro nor Xiaomi has confirmed these reports.